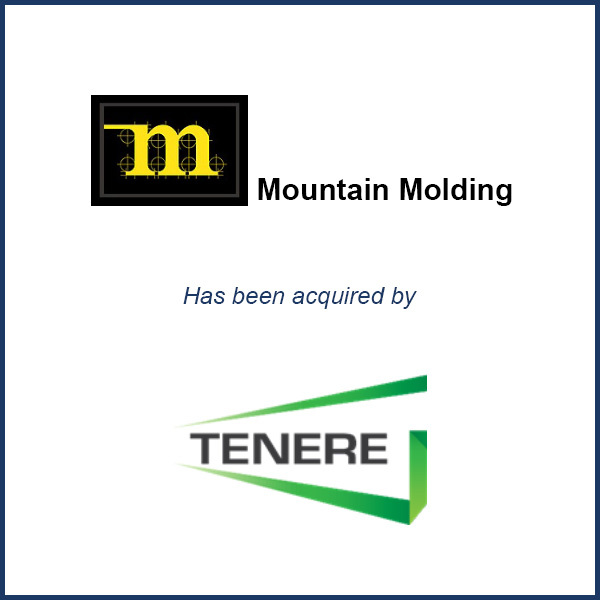 Longmont, CO – May 2015 – Injection molder Tenere based out of Dresser, WI is nearly doubling its custom molding capacity with the acquisition of Mountain Molding LLC of Longmont, CO.
Mountain Molding, which started in 1976, has 50,000 square feet of manufacturing space and about 50 employees. It offers mold design and development, molding, assembly and full product life cycle support. Tenere designs and makes plastic and metal components. The company has four manufacturing facilities. Three are in Wisconsin – in Dresser, Somerset and Osceola – and the fourth is in Lakeland, CO.
Tenere was purchased by Watermill Group of Lexington, MA in 2012. Tenere added rapid prototyping in June 2013 with the purchase of Protogenic Inc. of Westminster, CO. Molding Business Services initiated the May 2015 transaction representing Mountain Molding. The above excerpt was taken from a May 2015 article written in Plastics News. Click here to view the full article.